Fred Hammond gets set for his first live recording since 1999. Derek “DC” Clark, Calvin Rodgers, Phillip Feaster, Lawrence C Jones all have their hands in the preparation and production. 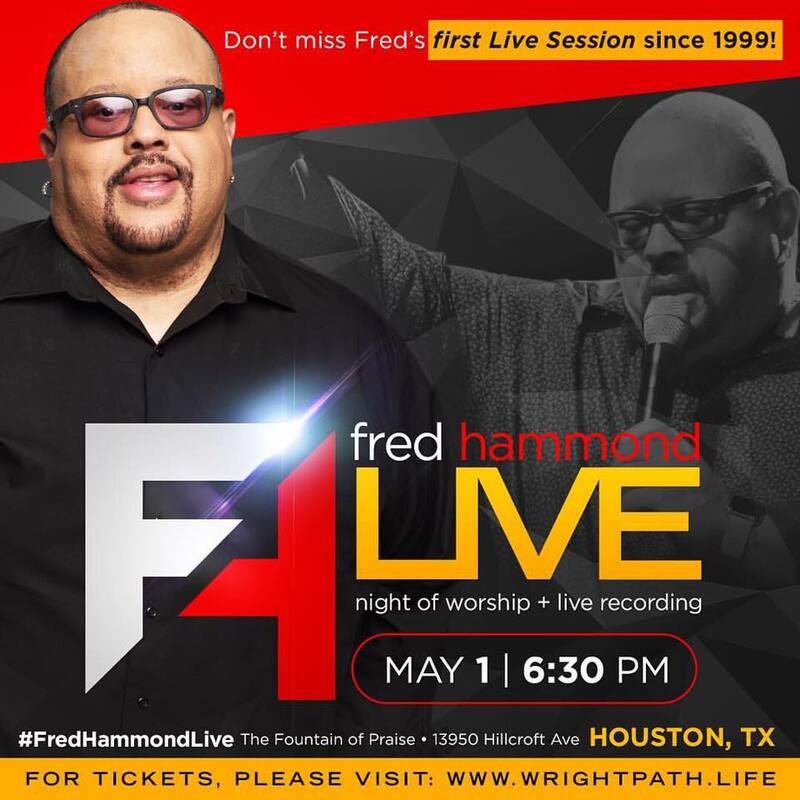 The Night of Worship will take place at the Fountain of Praise Church in Houston on May 1. This entry was posted on Wednesday, April 13th, 2016 at 9:56 am	and is filed under Recording Events. You can follow any responses to this entry through the RSS 2.0 feed. Both comments and pings are currently closed.